(AFP) — A senior Republican senator on Saturday urged US President Donald Trump to slow down the withdrawal of ground troops from Syria until jihadists were defeated to avoid a “nightmare” for allies Israel and Turkey. His talks with Erdogan lasted for over two hours, after which he was invited by the Turkish leader to a concert on Friday night by pianist Fazil Say. Ankara welcomed Trump’s announcement last month that the US would pull out its 2,000 military personnel from Syria but American officials and security experts have been more cautious, worried about withdrawing too early. Their defeat had been “accomplished territorially” but there were “thousands of ISIS fighters that lurk in Syria,” Graham warned. Four Americans, including two service personnel, were among those killed in a suicide attack this week claimed by the group in the key city of Manbij in Syria’s north. Washington has also expressed concern over Turkey’s plans to launch a cross-border military operation against the US-backed Syrian Kurdish People’s Protection Units (YPG) militia. Trump last weekend warned of devastating economic consequences for Turkey over any attack on Kurdish forces. The PKK, which has waged an insurgency inside Turkey since 1984, is blacklisted as a terrorist organization by Ankara, the US, and the European Union. 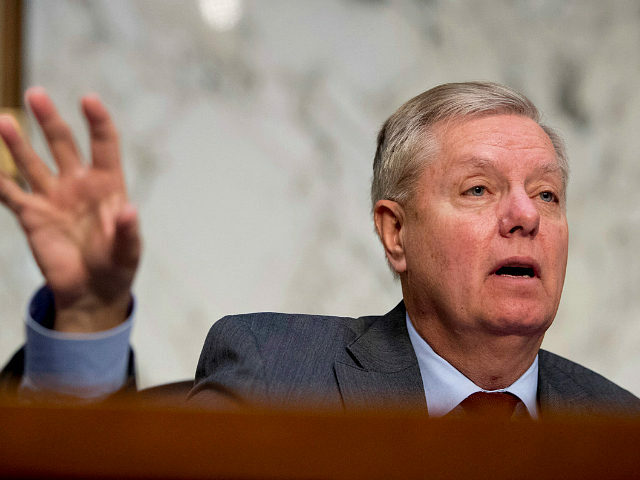 Graham previously warned that “Kurds will get slaughtered” if the US withdrew immediately. But on Saturday, the senator said the YPG’s political branch, the Democratic Union Party (PYD), “is interlinked with the PKK” as he acknowledged Turkey’s concerns over the militia.